Yes, it is true. Cincinnati really had an officially designated red-light district. From 1890 until 1917 several blocks in the West End were officially known as the “segregated district,” where prostitution was essentially legal. There were, of course, prostitutes in Cincinnati before 1890. Prostitution was big business in the Queen City almost as long as there have been people in the area. Within a year of the first settlers hauling their flatboats ashore at Yeatman’s Cove, the United States Army built Fort Washington and filled it with a bunch of young, uniformed, and unattached men. Records of the garrison reveal that the soldiers had their laundry cleaned by a number of (wink wink) “washerwomen” who settled around the fort. As early as 1832, the state legislature of Ohio passed a law “To suppress brothels or houses of ill fame in the county of Hamilton,” according to the Cincinnati Advertiser. By the 1840s, dozens of prostitutes operated out of reserved tiers in Cincinnati’s theaters. While the Civil War raged, Cincinnati’s brothels thrived. Estimates around this time suggest that more than 3 percent of the adult female population of the city engaged in prostitution, mostly as owners or inmates of brothels operated by women. 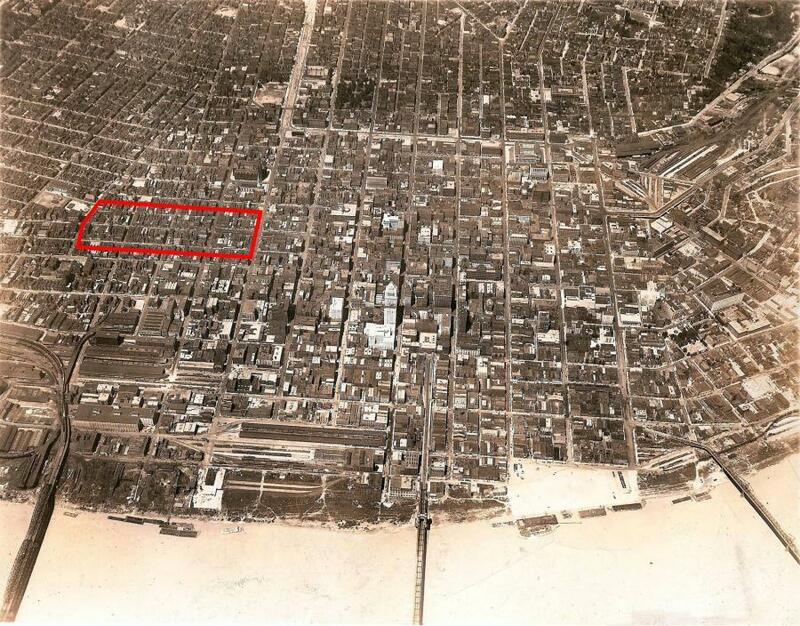 The near West End was a densely packed, thriving neighborhood throughout the time that Cincinnati’s red-light district, outlined here, was operating. Photo illustration by Greg Hand. Base image courtesy of the Archives & Rare Books Library, University of Cincinnati. Used by permission. Prostitution and the patronizing of prostitutes was never legal in Cincinnati, but these social vices were not prosecuted outright. There are very few reports of anyone being charged specifically with engaging in prostitution. The attitude of the police and courts seems to have been that prostitution was inevitable, but should not interfere with polite society or normal business. It appears that arrests were uncommon outside disturbing the peace. If a brothel got too rowdy, the cops would “pull” it. In such cases, prostitutes were almost invariably charged with loitering and fined between $5 and $25. Madams faced charges of “keeping a disorderly house” or “harboring lewd women” and were fines between $100 and $300. It was common for madams to promise to get out of the business as part of their plea, but it was also common for madams to forget this promise. Brothels were located throughout the city, from Giffin Street in the far eastern reaches of downtown to addresses north of Liberty Street in Over-the-Rhine. Most were clustered along George Street and Longworth Street in the West End. Today, Longworth Street, which ran between Fifth and Sixth streets, is completely obliterated. All that remains of George Street is a one-block remnant that runs from Elm to Plum between the Cincinnati Bell building and a parking garage. Around 1890, Cincinnati followed the lead of New York and other cities and created a “segregated district,” sometimes called a “segregated vice district,” and closed all the brothels located outside it. The district ran from Plum Street west to Mound Street and encompassed three east-west streets: George, Sixth, and Longworth. The Cincinnati Convention Center is situated at the southeast corner of this district. Although regularly referred to as the “red light” district, there is not much evidence that houses in the segregated district ever employed red lights to attract customers. Within the segregated district, police kept order and kept the brothels open and free of fisticuffs and larceny. A legally defined cesspool of vice of course attracted missionaries eager to save the souls of the fallen, but the city kept the Salvation Army and a local “Gospel Wagon” out of the segregated district because the revivalists blocked traffic. Within the segregated district were 60 to 70 brothels, housing as many as 700 prostitutes. Around 200 of these women were registered with the police and received regular health examinations by city-appointed doctors. The rest were not registered and did not receive regular exams. The system collapsed in 1917 as the result of action by the U.S. Army. To promote “maximum efficiency” of its fighting force in World War I, the Army promoted the passage of a federal law banning “objectionable” establishments within a five-mile radius of any military training facility. Fort Thomas in Northern Kentucky led federal authorities to clamp down on Cincinnati’s segregated district. As 1918 dawned, Cincinnati’s red-light district was no more. The drastic relocation of hundreds of prostitutes, of course, did not end prostitution in Cincinnati. The trade was driven underground into the hotels, saloons, alleyways, and even drug stores, where prostitutes solicited customers at the soda fountain. Overnight, Cincinnati—and other cities affected by the federal mandate—wiped out the largest segment of women-owned businesses in town. The sudden dispersion of hundreds of “working girls” created a new business opportunity for the criminal pimp, and marked the transition to a male-dominated criminal enterprise. 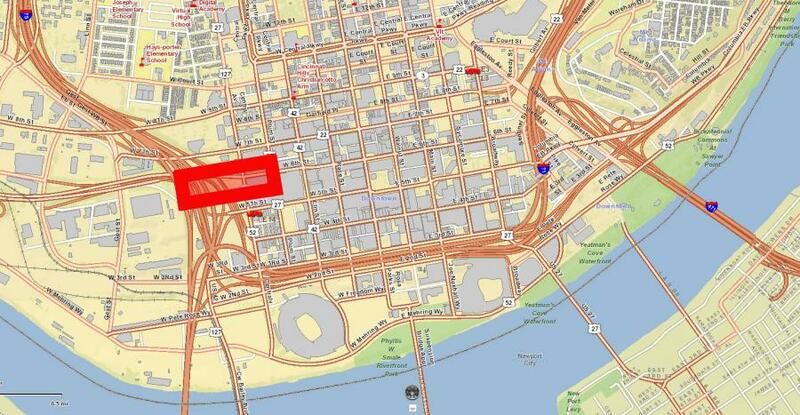 Much of the area occupied by Cincinnati’s red-light district lies under exchanges for access to I-75 and by the Cincinnati Convention Center.